A tour which entails the best Vietnam has to offers stretching from North to South. A combination of surreal landscape in Halong bay, the peaceful vibe of Hoi An old town, vibrant, bustle hustle atmosphere of Saigon with a nice retreat to green Mekong Delta. Daily departs from Hanoi and Ho Chi Minh city (Saigon). 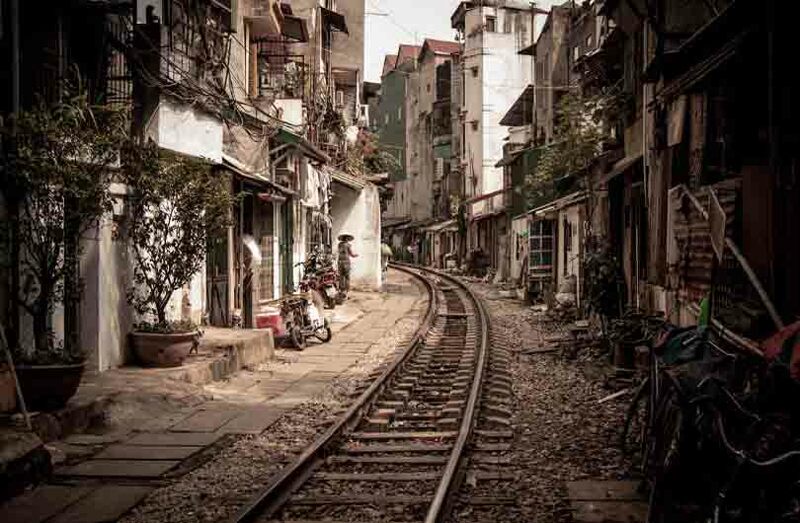 Arrive in Hanoi, the capital of unified Vietnam, one of the most charming cities in South East Asia with its authenticity, large shady avenues, numerous lakes, manicured gardens and well-preserved architecture. Meet your guide & driver, then transfer to your hotel. Free time for a stroll around the city. Dinner on your own. Overnight at hotel in Hanoi. A full day to explore the capital of Vietnam, Hanoi (which literally means “inside the river”) sets itself apart with other cities of Vietnam thanks to many factors which will be enjoyed fully in our tour. In the morning, we start the tour by visiting Ho Chi Minh Mausoleum and Ho Chi Minh Museum located within Ho Chi Minh complex. The complex forms a special zone with unique architectural and historical features and a solemn atmosphere from a long line of local visitors. The compound is also home to a special stilt house where Ho Chi Minh spent his last years with special design adopted from mountainous stilt house architecture. Within walking distance from the mausoleum is One Pillar Pagoda built in 1049 by Ly Thai To, the king who chose Hanoi to be the capital with special lotus shape, one of the symbols of the city. The next visit is the Temple of Literature (Quoc Tu Giam) – The first Vietnam’s University constructed in 1070, known for balanced, garden like old architecture with an interesting history behind. Have lunch at a local restaurant, followed by a visit to the Vietnam Museum of Ethnology. After that we will drive you back to city centre. Here locates a small yet charming lake called Hoan Kiem Lake (the lake of returned sword) with typical green water and a bright red bridge, fascinating Hanoians. In the middle of the lake is Ngoc Son Temple on a beautiful islet. The tour finishes with one hour cyclo driving in the bustling Old Quarter for you to really immerse in Hanoi daily life. Pickup from hotel at 8:00 am on a shuttle bus to Halong Bay, the well-known UNESCO world heritage site. The drive is around 4 hours with a short rest stop at a humanity center. 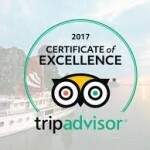 Arrive at Ha Long bay around 11:45 am with the welcome of the captain and crew. Lunch is served while the boat starts to cruise elegantly through numerous islets and islands with different shapes. After lunch is the exploration into the biggest and most prominent cave in Ha Long bay – Cave of Surprise (Sung Sot Cave) with fascinating limestone formations, followed by a peaceful one-hour kayaking around a fishing village. Back on boat for Sunset Party and a delicious, salivating dinner while out boat anchors in a calm and relaxing area. Enjoy evening activities in a relaxing way or join our more interactive activities with squid fishing, karaoke. Waking up to embrace sunrise over the bay’s tranquil landscape. Breakfast with tea, coffee and fruits are served on board. Stop at a pearl farm to understand the delicate pearl farming and culturing process. 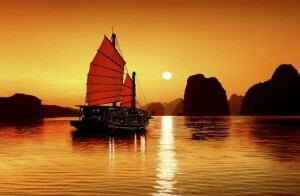 Keep cruising over various islands and islets of Ha Long bay. An interesting cooking class introducing typical Vietnamese cuisine organized by our talented chefs. Lunch is served on our boat before coming back to Ha Long city pier and saying goodbye to the crew. And get on shuttle bus back to Hanoi. Arrive in Hanoi around 4:30 pm. Transfer to airport to get back to Hue. Check in hotel and stay overnight in Hue. A day to explore Hue, starting from 8:00 am, picked up by our private guide and driver from your hotel. As the former capital of Vietnam, Hue is a labyrinth of historical resting places related to an interesting timeline of different Vietnamese emperors. Out of many mausoleums, we select the most outstanding ones including Emperors Minh Mang’s and Khai Dinh’s. Stop on the way to see how conical hats and incense sticks are formed with lunch in a local restaurant. The afternoon is a smooth combination of history exploration into Nguyen dynasty Imperial capital and the seven – storey Thien Mu Pagoda on the riverbank, accompanied by a sunset boating along the peaceful Perfume River. Back to hotel at 5:30 pm to prepare luggage and drive to Hoi An. At 8:00 am, hotel pickup by our private tour guide and driver to Hoi An for visiting My Son Holly Land. With archaic Cham culture ruins, My Son is also named “Vietnam’s Angkor Wat” a religious relic comprising more than 65 architectural works. Recognized by UNESCO as a World Cultural Heritage site in 1999, My Son sanctuary is an ideal place for architecture fancier. Visiting this complex provides you with many opportunities to understand the brick-making techniques of Cham people which form the mystery behind tower foundations in this area and enjoy traditional music performance by elegant Cham girls in their colorful costume. In the afternoon, we will tour on foot around Hoi An, a peaceful town with character. Used to be a prosperous seaport town between 16th and 18th century, Hoi An is an interesting mix of different cultures. The tour will bring us to Hoi An’s Colorful Local Market, Tan Ky Old House, Fu Jian Assembly Hall, and the 400-year-old Japanese Covered Bridge, silkworms which are bedrock of Hoi An’s flourishing textile industry. A relaxing day to discover Hoi An by yourself. Immerse in the town’s diverse food scene in a small lane or a riverside restaurant. Another great way to explore is cycling through rice paddies out to Cua Dai beach. Breakfast at hotel in Hoi An. Self-leisure in the town before checking out in the afternoon and being transferred to Da Nang airport for flight to Nha Trang. 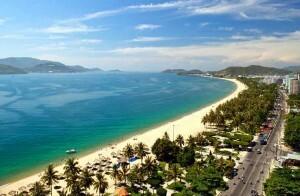 If you are a beach lover, Nha Trang is the place to go. 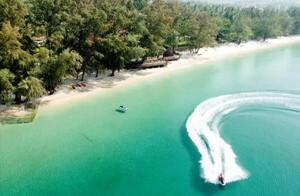 With 6km long clean beach line wrapping crystally clear water and mild temperatures all year round. This is perfect destination for relaxing, or holiday as you name it. Enjoy breakfast in the hotel then delight yourself with seaside activities in the area, or a sunrise/sunset watching. Enjoy breakfast at hotel then feel free to relax by Nha Trang beaches. Some recommended places to visit in Nha Trang are Po Nagar Cham Tower, Long son Pagoda, Thap Ba Hot Spring center. Discover Nha Trang independently at night and its local cuisine scene is also an enjoyable experience. Optional tour – A trip to Vinpearl Land resort & spa, a major 5-star resort operated by the Vinpearl Group with impressive Cable Car linking to the mainland and theme park on Hon Tre Island. Breakfast at hotel. Relaxing at hotel until we transfer you to Nha Trang airport for flight to Ho Chi Minh. Around 8:00 am, your private tour guide and driver will pick you up for full day visit Ho Chi Minh City and the renowned historical Cu Chi tunnels. Ho Chi Minh City (or more locally called Saigon) is the home to French architecture legacy, one of that is Notre Dame Cathedral commenced in 1880 following the original Notre Dame Cathedral in Paris which is preserved in excellent state and blending in with the city’s surrounding. Next to it is the notable Central Post Office designed by Gustav Eiffel which reflects the image of a grand railway station. Aside from architecture legacy, two not-to-be-missed destinations upon visiting Ho Chi Minh city are Reunification Palace (formerly Saigon President Palace) known for its token role in the fall of Saigon in 1975 and War Remnants Museum, (drop you off at Ben Thanh Market for shopping if we have enough time). After lunch you would be energetic enough for the trip to Cu Chi tunnels, 60km from Ho Chi Minh City. Named after Cu Chi province, yet the place is known internationally for its underground network stretching over 200km with more than 3 layers. It becomes a legend during Vietnam War, reflecting the country’s unique war strategy. The tour brings you to visit different function rooms with interpretation of a local guide for you to visualize the history more vividly. Tour ends at around 05:00 pm. Around 8:00 am, leave Ho Chi Minh City for with scenic Mekong Delta countryside scenery along the National Highway. Upon reaching My Tho, we stop by Vinh Trang pagoda, a holy destination for local people with an architecture mix of many cultures. After that, take a leisure long tail boat ride along Tien river with interesting sites along the river bank – local stilt houses, fruit plantations, fishing villages. 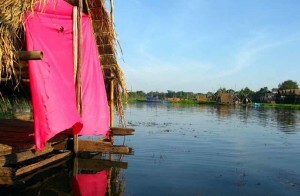 Passing through Vam Xep canal in Ben Tre province to reach a cute islet where you will walk relaxingly along shady palm trails with quiet countryside landscape. Stop on the road to visit swam, bee farm, sip special tea with honey and try fruits with a local family while listening to their stories about Mekong Delta lifestyle. Visit a small coconut workshop for a close-up on typical family run business in this area. Walk to a lane go along these villages where a horse-drawn cart waits for you to get to handicraft village, immerse in tropical fruit, traditional music. Enjoy local experience with a hand-rowed boat ride through the narrow canal under the shade of coconut palms, tree-lined canals of Mekong River before having a tasty lunch in the orchard garden on a river bank. After lunch, a big motorized boat will bring you back to My Tho city with a short break along the way before reaching Can Tho city. After breakfast, take a 40-minute morning boat trip to visit Cai Rang floating market, the biggest floating market in Mekong Delta at its busiest time of the day. The floating market is a real delight on your senses. People maneuver in different kinds of boats selling various kinds of tropical fruits. We can also stop at a rice noodle making village where you can learn the behind-the-scene process of rice paper secrets and try making tapioca noodle by your own. Stop for lunch on the way driving back to Ho Chi Minh. Stay overnight in a hotel in Ho Chi Minh City. Breakfast at hotel. Free day until departure. Enjoy the last stroll to admire the colonial architecture, visit the colorful markets or take a trip through the frenetic streets in a cyclo. Transfer to the airport for your departure flight. Vietnam bottom to the top. Outstanding! Four of us just completed a 2 week escorted tour which included Ho Chi Min City, Hue, Da Nang, Hoi An, Hanoi, Halong Bay. We visited, homes, rode bikes thru villages, walked the cities, took boat trips in the rivers, visited the museums, stayed overnight on a luxury boat in Halong Bay. We visited the Citadel in Hue, we studied the history of Vietnam in some detail, got served lunch by Buddist Nuns. 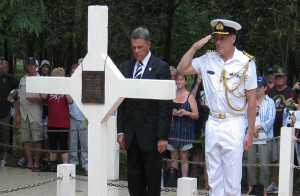 We flew to Hue, Flew to Hanoi & were driven miles & miles on learning & sight seeing expeditions at each stop. We ate in local restaurants like the locals do, we stayed in the best 4 & 5 star accommodation with breakfast everyday & lunch on most days.